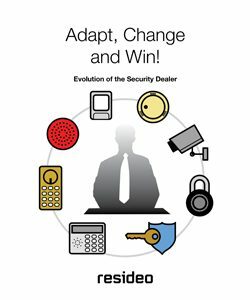 This whitepaper was prepared to help security dealers cope with the shift, which has moved to putting the customer – your customer and prospects – in charge of the “selling” process. These days, customers are savvier about smart home devices and more selective in their home security needs. As such, they look for solutions or dealers who can offer the total package. Security dealers today must show up at their prospective customers’ residence or place of business NOT just to install security systems, but to help customers navigate through the myriad of choices available today. This free resource was designed to examine the process, offer concrete ideas to help you re-imagine and shape your thinking for this “Age of the Customer,” which has sprung up almost without warning. Your customers often know what they want, and how much of it they want BEFORE they call you. Often, what they find out on the Internet often has a reverse effect. If you are called and quote them a price after your assessment, they compare it to their research. If they don’t match up, you lose the business. Why? because they don’t have a complete picture of what you really do. In fact, you may not know what you really do either. You may think you are in the security installation business – but what if you’re not? Unless your definition of “security” matches up with your customer’s definition, business may be lost. Technology is simply an enabler. They can buy technology in many places. What are they buying from you? What do YOU offer them that they can’t get anywhere else? The experience the customer has with YOU (regardless of product) will determine your success or failure. Because what people perceive as “security” is dramatically changing, a preferred brand needs to be adaptable and personable. Today, in any business, perception is reality, and unless perceptions are adjusted to what customers are seeing and feeling, selling simply cannot take root and grow. Download this free whitepaper to learn more about redefining your security business strategy.